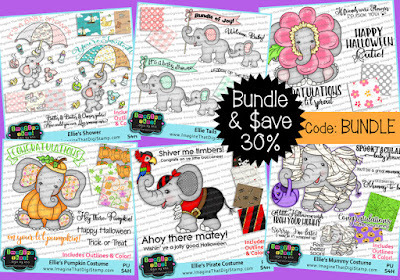 Bundle Deal for the whole New Release Ellie's. BUNDLE to get all 6 sets for 30% off, making it just $14 USD! I love the adorable Ellie and enjoyed creating cards with her!